Your bags are packed; you’re read to go… But are you really prepared for your next trip? If you don’t have travel insurance, you may be leaving the most vital thing at home– your peace of mind! Read on for a brief summary of travel insurance and why ARC is the best choice for your next policy. Airline tickets, hotel bookings and other travel costs are generally non-refundable. ARC can outfit your travel insurance policy with cancellation protection, so you don’t lose your nest egg due to the unpredictability of life. ARC’s travel insurance plans can be easily adjusted to include 24/7 emergency, travel and roadside assistance packages. Whether taking a cross-country road trip or twisting your ankle on the cruise ship dance floor, ARC’s assistance services will have your back. Many people glance at their monthly credit card documents and see that they include travel insurance, but do you know just how comprehensive this is? Often there are limits to coverage based on duration, cost and other factors. Don’t assume! 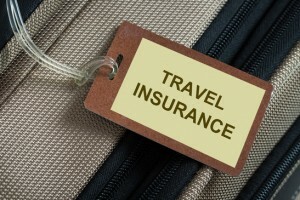 Have ARC review your policies to ensure your trip and belongings are fully covered. Group insurance plans provide a very effective and affordable coverage for employers, but they can fall short when it comes to travel. Like credit card travel protection, group policies often have limitations to what they can cover. ARC can review and advise on all group policies and their travel coverage. Many Canadians assume they are protected by the government health insurance plan, but citizens waive up to 90% of these rights when they leave the country (even for a few hours)! Health Canada recommends all Canadian travelers purchase supplementary medical insurance, so visit ARC for your assessment today. No vacation should be spoiled by a crisis or cost that could have been otherwise averted by purchasing a travel insurance policy. Our insurance experts at ARC have seen it all– so they can tailor a plan for everything from a family road trip to a solo skydiving world tour. Contact or visit ARC today for your free quote!